Titan Autonomous will be a cloud computing network provider that leverages distributed computing to offer commercial and academic clients with scalable on-demand processing capabilities at competitive contracted rates. Titan is the newest, greenest, most cost-effective network for applications of Artificial Intelligence and Machine Learning in the marketplace today. Titan intends to address pressing industry challenges of insufficient computing power and skyrocketing costs by creating a distributed cloud computing network to share the load across linked computers. Titan helps you take control of your computing costs with on demand, scalable computing power. Titan will leverage the power of the shared economy. With its unique business model, Titan plans to match suppliers and consumers of computing power across its network. Titan understands the need to help small businesses and enterprise access technological scalability to leverage the benefits of machine learning and has set out to develop unique solutions addressing matters of infrastructure for companies of all sizes. This can be accomplished by leveraging blockchain and cryptocurrency to create a distributed cloud computing network. Whether you are a cryptocurrency miner facing diminishing returns, or a gamer with idle computing power available, your technology investment can earn revenue for you as a resource service provider for Titan. Blockchain is a powerful tool that offers a secure and immutable way to capture transactions and track assets on a digital ledger.5 It also greatly increases efficiency for business processes within Titan, for customers and for participants. Network providers simply need to purchase tokens and stake them. 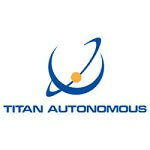 Titan Autonomous will then know exactly how much computing power you are offering to the network. Titan will also be able to track how much time your computer is available and thereby calculate appropriate token rewards. Most participants will be incented to leave their resources on the network at all times since they will be paid, even if their resources are not being used. It is Titan’s responsibility to keep utilization high – not the participants. Titan will also use blockchain to track client usage on the network. Customer requests will be broken down into jobs and sent out to multiple participants for completion. The Titan core will then reassemble the components of the work and deliver to the customer. Time and computing power used will be captured on the blockchain for appropriate invoicing. Customers never have to pay for resources they never used. The end result will be a model where all stakeholders within the ecosystem will receive what they pay for and what they expect – minimal wasted effort in a synchronized business model. The blockchain is absolutely the best tool to manage transactions on the Titan network. Cryptocurrency is a decentralized way to compensate our participants for the resources they are offering to the network. Coins or tokens are earned based on the time and materials provided. These tokens can then be saved, traded through available exchanges or even turned into fiat currency based on the needs of the participant. And when net proceeds from operations are generated, Titan may offer additional rewards through Ethereum airdrops. Ethereum is a well-established cryptocurrency that can be traded on many exchanges and since Titan will be running on the Ethereum network, we intend to offer this additional reward opportunity. It is a way to express our belief that we are all in this business together. It is also a way for Titan to reinvest in the network itself. 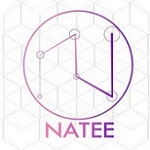 NATEE is a Decentralized Cloud Computing and Storage on AI-trained Devices.